In the community, in care, in making our programs and services better. As I write this letter, firefighters around California are wrapping up their monthlong plight of containing some of the deadliest fires in our history. As a mental health provider with program locations in these areas, we are acutely and sorrowfully aware of how our employees, the people we serve, and these communities are being affected by the fires. We are donating to the Red Cross on behalf of everyone at Telecare Corporation to help with general disaster relief. For more information on how you can help, click here. 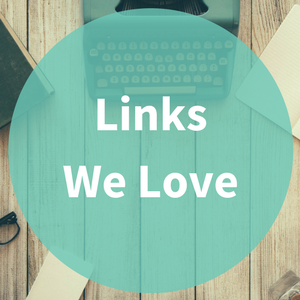 This month, we wanted to share with you a few stories from around Telecare that kept us moving through the times. Our FY16-17 year-end materials are hot off the presses! It was an exciting year for Telecare, and we're proud to share our FY16-17 Annual Report and Year-End Video. At our youth inpatient program in San Leandro, Ilene Yasemsky, Clinical Director at Willow Rock, was recently recognized by the University of California, Berkeley's School of Social Welfare as the 2017 Field Instructor of the Year. 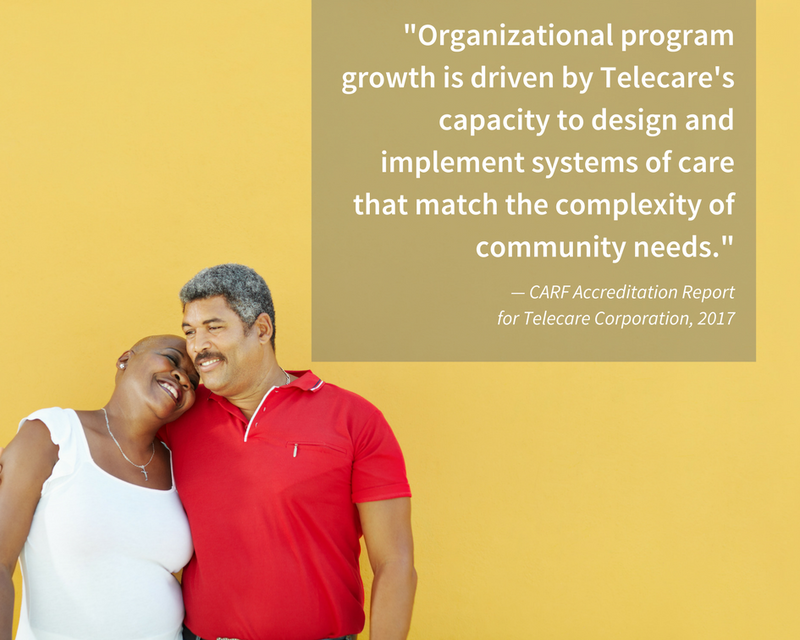 We are thrilled to announce Telecare received another three-year accreditation status from CARF after many months of hard work in the field getting prepared. We say welcome to our newest partner, Kern County Behavioral Health Services, as we celebrate our new Ridgecrest Crisis Stabilization Unit opening in Ridgecrest, California. FY16-17 was a year of vision, improvement, and growth in a rapidly evolving healthcare environment. We introduced a brand new mission statement. We helped our customers expand their crisis safety nets. We opened the first mental health pay for success program in the United States. And our 3,300+ staff members served more than 27,000 people in 107 programs across eight states. It was an exciting year. We are grateful to our customers, communities, and the amazing Telecare staff who do this work with passion and commitment. We look forward to the year ahead! Click the images below to read our annual report or watch the video. In October, we received news Telecare was awarded another three-year accreditation status from CARF International, an independent nonprofit organization focused on advancing the quality of health and human services at hospitals and rehabilitation facilities worldwide. Learn more about how our programs prepare for a CARF survey by clicking here. 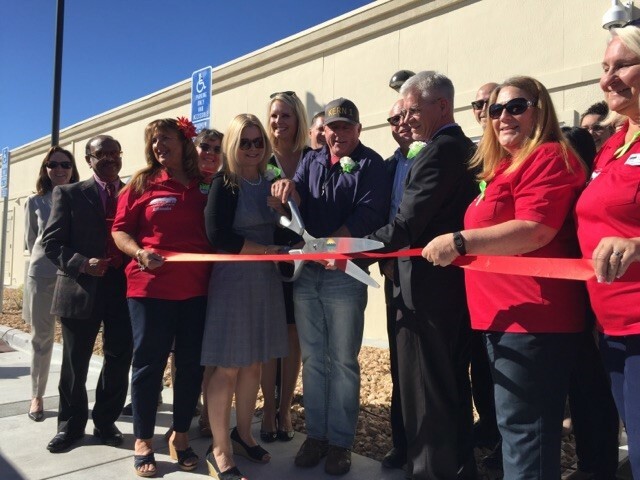 Telecare partnered with our new customer, Kern County Behavioral Health and Recovery Services, to open the Ridgecrest Crisis Stabilization Unit (CSU) in Ridgecrest, California. The 12-chair CSU is a 23-hour program serving adults and youth in East Kern County. The CSU aims to increase access to crisis services and welcomes walk-ins as well as referrals. This is an exciting new partnership with Kern County, and we look forward to working with them in the future. Ridgecrest CSU hosted an open house on October 25 to welcome members of the community and representatives from Kern County Behavioral Health and Recovery Services. Welcome to the family, Team Ridgecrest! University of California, Berkeley, recently recognized Ilene Yasemsky (right), Clinical Director at Willow Rock, as Field Leader of the Year! Click here to read more about it.